Well, this year Halloween is over, but if you need an inspiration for the next year then Crusoe the Dachshund is best thing. 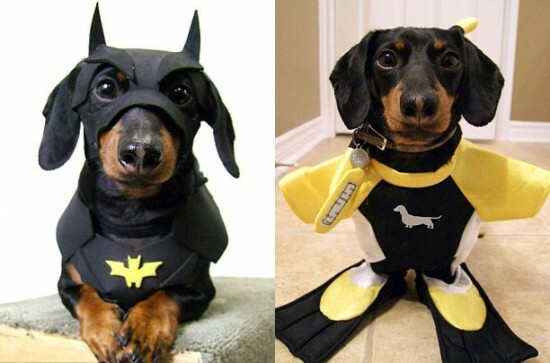 He transforms himself into Batman, or should we say Batdog, he is the most adorable scuba diver, and by far most outstanding ship captain that you’ll ever see. With his wacky outfits he became internet sensation in just few days and goes viral as most popular dog on internet in last couple of days. 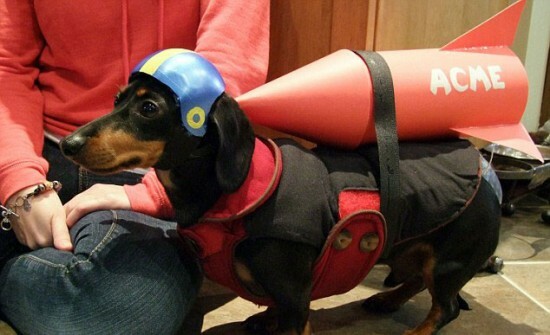 There are a lot of people all over internet that are saying that Crusoe the Dachshund is the most inspiration thing not only for Halloween but to life itself. 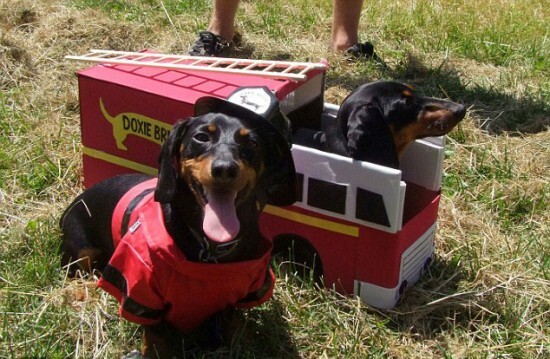 The imaginative pooch has become an internet superstar on account of his handmade crazy set of clothes, with unbelievable variety from a Batman suit to a truly fire engine. 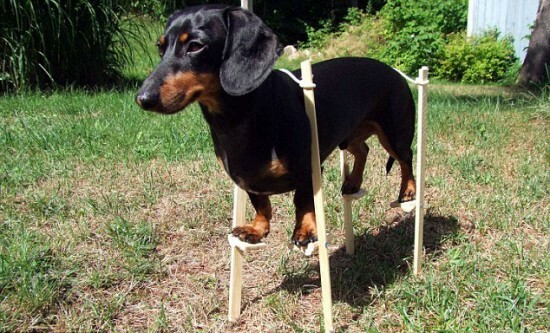 Photos of Crusoe in his outfits are all over internet, with amazing viewed figures. But, as they say, behind every successful dog there’s successful man. In this story that man is Ryan Beauchesne from Canadian capital Ottawa. 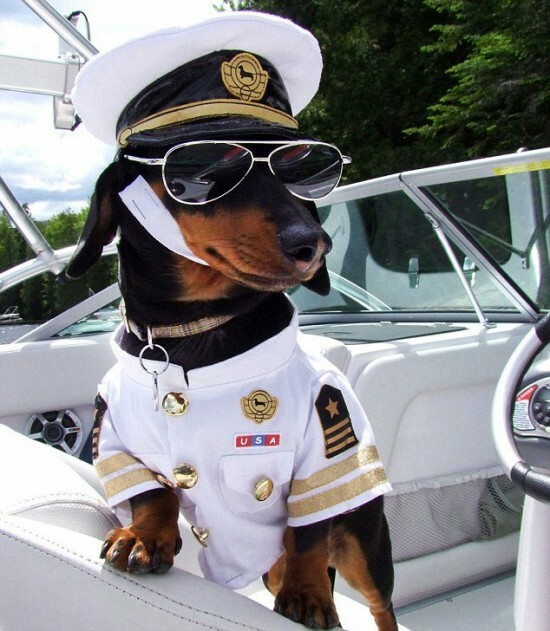 He is proudly owner Crusoe, and he makes all the outfits for his dog by his own hands. He builds a beautiful friendship with his dog for over four years, and they are pretty much inseparable. 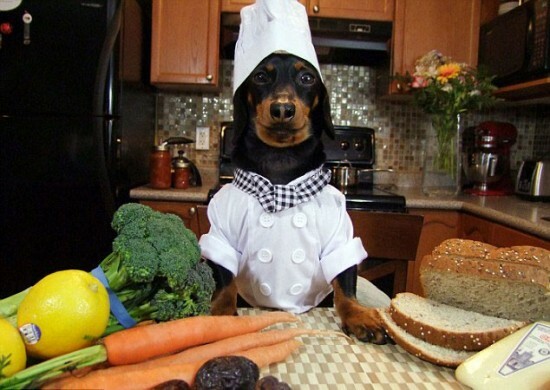 The dog owner is well known web developer and online marketing professional, so he was decisive to share this strange hobby online, and put knowledge to create a very popular blog for his dog at celebritydachshund.com. You better think twice if you think that this man is crazy, because the most popular photo of Crusoe has been viewed more than a million times. Who’s crazy now? As we already said behind every successful dog there’s successful man, but more precisely version of the phrase is that behind every great man there’s a great woman, and so is true, because Ryan Beauchesne frequently receive help for outfit ideas from his girlfriend Laurence Dionne. She said that the website start as a bit of fun for them and their friends, but in a matter of days it became a world wide sensation, and now two of them for on the blog as full time job. This Halloween Crusoe and his owners were dressed as characters from the hit American reality TV series Duck Dynasty. But as we mention earlier past costumes for Crusoe have included a scuba diving suit, a chef’s outfit, a naval captain’s uniform, and a Wile E Coyote costume whole with a rocket. Most important thing is that Crusoe enjoys his dressing up adventures. So we can wait to see what new costume he will wear on next photo. By then be sure to check more interesting stories on our site. What an adorable dog! I can’t believe he held still for all those outfits.